The Mental Health Continuum – Short Form (MHC-SF) is a well-established measure that assesses general well-being and three well-being components: emotional, social, and psychological. However, its psychometric properties have never been investigated in a psychiatric sample. We examined the psychometric properties of the MHC-SF, including factor structure, convergent validity, and sensitivity to change, in 768 patients attending a psychiatric partial hospital program. Patients completed the MHC-SF as well as self-report measures of depression, and motivation and pleasure at admission and discharge from the program. Results revealed that a Bifactor Exploratory Structural Equation Modeling (ESEM) model better fit the data than competing models (Confirmatory Factor Analysis, ESEM, and Bifactor models). This model supported the existence of a general well-being factor, but provided limited evidence for the existence of emotional, social, or psychological well-being factors. The MHC-SF negatively correlated with a measure of depression and positively correlated with a measure of motivation and pleasure, suggesting good convergent validity. General well-being increased significantly from pre- to post-treatment. Results support the use of the MHC-SF to reliably measure general well-being in a psychiatric sample. Beard, C. & Björgvinsson, T. (2014). Beyond generalized anxiety disorder: Psychometric properties of the GAD-7 in a heterogeneous sample. Journal of Anxiety Disorders, 28, 547–552. https://doi.org/10.1016/j.janxdis.2014.06.002. Beard, C., Hsu, K. J., Rifkin, L. S., Busch, A. B., & Björgvinsson, T. (2016). Validation of the PHQ-9 in a psychiatric sample. Journal of Affective Disorders, 193, 267-273. https://doi.org/10.1016/j.jad.2015.12.075. Björgvinsson, T., Kertz, S., Bigda-Peyton, J., Rosmarin, D. H., Aderka, I., & Neuhaus, E. (2014). Effectiveness of cognitive behavior therapy for severe mood disorders in an acute psychiatric naturalistic setting: A benchmarking study. Cognitive Behaviour Therapy, 43, 209-220. https://doi.org/10.1080/16506073.2014.901988. Howard, J. L., Gagné, M., Morin, A. J. S., & Forest, J. (2016). Using bifactor exploratory structural equation modeling to test for a continuum structure of motivation. Journal of Management, 1–27. doi: https://doi.org/10.1177/0149206316645653. Joshanloo, M., & Jovanović, V. (2016). The factor structure of the Mental Health Continuum-Short Form (MHC-SF) in Serbia: an evaluation using exploratory structural equation modeling. Journal of Mental Health, 1–6. doi: https://doi.org/10.1080/09638237.2016.1222058. Joshanloo, M., Jose, P. E., & Kielpikowski, M. (2016). The value of exploratory structural equation modeling in identifying factor overlap in the Mental Health Continuum-Short Form (MHC-SF): a study with a New Zealand sample. Journal of Happiness Studies, 1–14. doi: https://doi.org/10.1007/s10902-016-9767-4. Longo, Y., Jovanović, V., Sampaio de Carvalho, J., & Karaś, D. (2017). 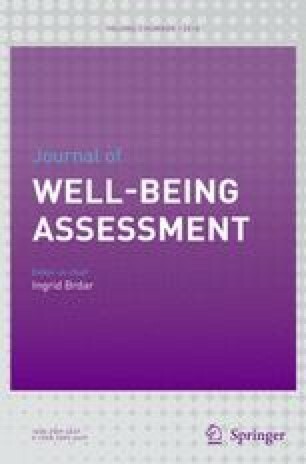 The general factor of well-being: Multinational evidence using bifactor ESEM on the Mental Health Continuum–Short Form. Assessment, Advanced online publication. doi: https://doi.org/10.1177/1073191117748394. Schutte, L., & Wissing, M. P. (2017). Clarifying the factor structure of the Mental Health Continuum Short Form in three languages: a bifactor exploratory structural equation modeling approach. Society and Mental Health, 142–158. doi: https://doi.org/10.1177/2156869317707793.